Financial Times reporter Ben Bland tweeted this Twitter thread around. 1. Here follows a short thread on why Beijing’s ratcheting up of pressure on Hong Kong and Taiwan should be issues of global concern, highlighting a wider clash of values as the world’s most powerful authoritarian state grows in influence and determination. 2. The move to ban the tiny Hong Kong National Party seems at first sight like a massive over-reaction, just like many of Beijing's other recent moves to squeeze Hong Kong and Taiwan. 3. Many democrats say that the idea that the Hong Kong National Party is an imminent threat to national security is laughable. They argue that the authorities are merely looking for an excuse to send a warning to others about the risks of discussing/promoting controversial ideas. 4. While the authorities may be “killing the chicken to scare the monkeys", there's no escaping fact that the democratic values embedded in Hong Kong and Taiwan do represent a fundamental threat to the authoritarian system in China and undermine the rhetoric of the “China dream”. 5 Communist Party theorists have long railed against risks of “peaceful evolution”, whereby democratic ideas seep in over time, chipping away at party legitimacy. HK/Taiwan are points of entry into China for such dangerous ideas as labour unions, civil society & free speech. 6 .That is why Xi Jinping warned Hong Kongers last year that any attempt to use the city to “carry out infiltration and sabotage activities against the mainland” crossed a “red line” & was “absolutely impermissible”. That is also why we’ve seen booksellers kidnapped. 7. The near unanimous rejection in Taiwan of unification with China and the widespread opposition to the Communist party in Hong Kong represent a fundamental challenge to Beijing’s perception of sovereignty. 8. Moreover, the attitudes of many in Taiwan and Hong Kong undermine the idea of a unifying “China dream” that will uplift all ethnic Chinese globally, and create a global "community of shared destiny". All the above is good, here is where he starts to go wrong. 9. The fact that many of the 30m or so ethnic Chinese closest to mainland China (in HK and Taiwan) are not buying into the dream suggests that selling it further afield will be difficult. I have discussed the fact that Taiwanese are not "ethnic Chinese" here. But Catie Lilly, a professional historian who is kind and sweet and fiercely intelligent (yes, crushing hard) pointed out that "ethnic Chinese" is a term more often used by outsiders -- I should add, outsiders for whom the term "Taiwanese" is never used. In the post I linked to above, I observe that when journalists use the term "ethnic Chinese" they are using it the way Beijing wants them to -- as an ethnic signifier that implies a link to China. Had Bland simply used the term "Taiwanese" it would have been obvious what the problem was: the Taiwanese aren't ethnic Chinese, so naturally ethnic-based blandishments have no appeal. Hence Bland's observation is wrong on its face. Beijing's appeal to "ethnic Chinese" elsewhere may work among populations that consider themselves Chinese in some way, especially if their identity coheres well with the faux Chinese identity Beijing is urgently constructing (an eerie echo of the faux Chinese identity the KMT constructed in Taiwan) to wipe out all of China's hundreds of local identities. 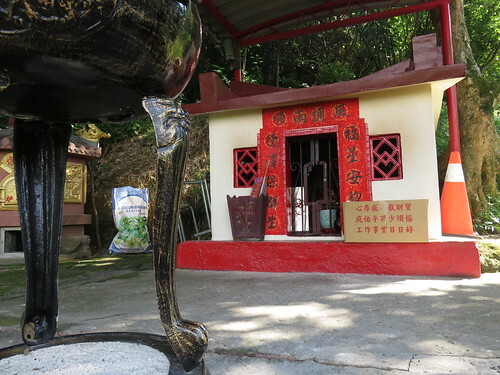 For example, I was in Malaysia last year and visited the family of one of my students, whose forefathers came over to Malaysia from Guangdong at the turn of the previous century to mine tin near Ipoh. My student's father was a very nice man who insisted on explaining to me that Taiwanese were Chinese, just like him, and that Lee Teng-hui was forwarding a Japanese plot and had brainwashed Taiwanese, etc. Obviously there are many "ethnic Chinese" who buy into all the garble-blargle Beijing is putting out about China and Chineseness, and who would view an annexation of Taiwan to China as a good thing and a signal of China's greatness. Finally, as I have pointed out before, Beijing's "soft power" measures aren't aimed at Taiwan, but rather at two audiences, its own people and at the international media. Beijing has to convince them it has done everything it can to lure Taiwanese over, and having exhausted peaceful options, war is necessary. As for the media, no need to go over that again. 10. Tsai Ing-wen has called Taiwan the “canary in the coalmine” for how China’s rise will affect democracies around the world. Likewise, events in Hong Kong show what happens when the Communist party’s projection of power bumps up against democratic ideals and practices. Quite true, all of this. It is good to see media workers writing in this vein, for once. Some of us have been saying this for years. 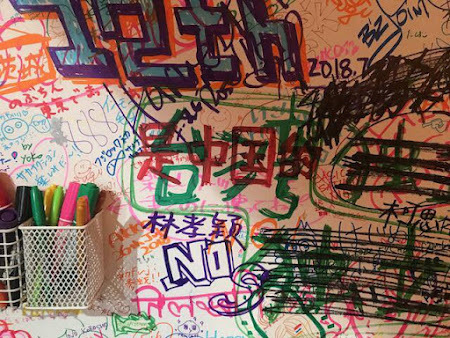 China’s battle to erase Taiwan’s name unfortunately now extends to the fan message boards at Fuji Rock. Around 500 Tiawanese go to the fest each year, and proclamations of “Taiwan independence” in message board graffiti, banners waived during performances, etc have been pretty common at Fuji Rock for at least 5-6 years. This year was the first time that has been defaced. On top of the characters for “Taiwan” is written “is China”, and the characters for “independence” are scratched out. Vast entitlement breeds vast hatred and malice. According to official statistics, there were more than 450,000 criminal cases in 2008, but by last year, the number across the nation had dropped to 290,000 — including fighting and slander cases. Last year’s amendments to the Organized Crime Prevention Act (組織犯罪防制條例) allow judges to hand down heavier sentences, and help the police to crack down on the sudden spike in telecommunications scams that occurred in previous years. "You have to recognize that the policeman himself is just a pawn in this much larger political game," Jeff said. The policeman have no particular stake in the theft of your motorcycle, but somewhere above their heads is "some idiot who has said that if the crime rate goes up, I will resign." There is no way to effectively decrease the scooter theft rate, and no way to increase the recovery rate. The only way to influence the crime rate short of a miracle, is to influence the crime statistics. These become "very real political pressures," he explained, on the local substation commanders. "If your substation reports more than 15 motorcycles stolen this month, you are not getting a promotion." Essentially, Jeff said, laughing, this becomes "you have 15 motorcycle theft reports -- use them wisely." Separately, the ministry is to implement a “third-party policing” strategy that integrates the authority and resources of other administrative agencies, such as fire departments, revenue services, civil defense groups, construction management offices, building managers and business owners. The ministry will appoint liaisons and carry out joint inspections; actively investigate the settings that gangs invest in, manage or guard; increase spot checks on the “eight major industries” — karaoke bars, nightclubs, dance halls, clubs, cafes and tearooms, bars, barbershops and saunas in which illegal activities, such as prostitution, often occur — and cut off gangs and other criminal organizations’ sources of funding. This focus on obvious sites of prostitution has the salutary effect of cracking down on funding sources for A Certain Political Party which happens to be the DPP's rival, and of pleasing middle class moralists. Since these rise and die like mushrooms, the effect will be ephemeral. Readers may recall that when Chen Shui-bian was mayor of Taipei, he shut down all the brothels and pachinko parlors and similar in the city. They re-opened when Ma Ying-jeou became mayor. This representation of "gang activity" is conventional and reassuring. It divides Taiwanese society into nice people and people infected with vice, and gives the appearance that the government is actually doing something. Meanwhile, organized crime investment in things like construction firms, temple associations, bus companies, coffee shops, cram schools, large private schools, street vendors, betel nut stands, stir-fry restaurants and tens of thousands of other, ordinary, businesses, will remain, as always, ignored. In the Real Taiwan, we all do business with organized crime. Project 2049 sent this around. Independent research with opportunities to publish on the Institute's blog, AsiaEye. To apply for this position, please electronically submit a cover letter, resume, and a short writing sample to project2049@project2049.net. The deadline for application submission is 11:59 pm on Friday, August 10, 2018. For more information on the Project 2049 Institute, visit our website, and follow us on Facebook and Twitter @Project2049. The German government, it was said, was ready to negotiate just agreements. But it must be on a basis of equality, the government added, and rather than continue to endure the humiliations of the past the government and the nation preferred to bear any oppression or hardships. It was this that the government asked the nation to indorse. In line with the temperate tone of all the German pronouncements, officials made it plain to the United Press that they planned to leave the league smoothly and in friendly manner, as righteous protestants and not as rebels. Beijing had demanded that American Airlines (AAL), Delta (DAL) and United (UAL) change how they refer to Taiwan by Wednesday, or risk sanctions in one of the world's biggest markets for air travel. American Airlines and Delta updated their websites on Wednesday to show they fly to Taipei, with no mention of Taiwan. A few hours earlier, both websites offered flights to "Taipei, Taiwan." United also removed references to "TW" — short for Taiwan — from its website, dropping country designations for all cities in Taiwan and China. China's aviation regulator say that US airlines' "rectification" is "incomplete". Suggests that just putting "Taipei" as a destination on website isn't enough. Should be "Taiwan, China", as other international airlines now say. ...but when you clear away the fog, what happened is really simple: given the opportunity to stand up to China in a situation of clear bullying and abuse, the GOP Administration decided to totally cave and do nothing. Holding all the cards, it folded. 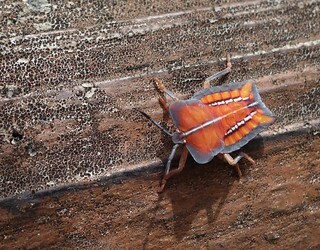 Asked to lead, it scurried off with its tail between its legs. There is nothing more to say. It's not yet Munich, but here in East Asia the Rhineland South China Sea has been militarized, and the Chinese have withdrawn from the League of Nations and the World Disarmament Conference the liberal world order. The avalanche has already started. 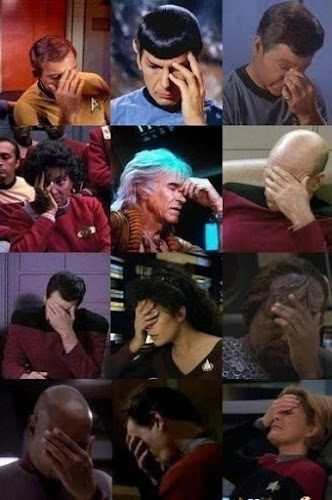 It's too late for the pebbles to vote. Taiwan's government accused China on Tuesday of exerting pressure on the East Asian Olympic Committee (EAOC) to cancel the first East Asian Youth Games in Taichung in 2019 and said its interference was irrational and politically motivated. Emily Wu tweeted that The EAOC is chaired by Liu Peng, who had served as director of China's State General Administration of Sports and is a member of the CCP Central Committee. South Korea and Mongolia voted against Taichung, spinelessly (Mongolia's service to China reminds one forcibly of Poland's between-wars foreign policy), along with China, Hong Kong, Macau, and North Korea. Japan abstained. Taichung is in the midst of a battle for the mayoral spot and this will likely affect current DPP Mayor Lin Chia-lung's prospects, as local media were already speculating this week. China probably knew this when it made the decision. Allen-Ebrahimian: Who's Who in US officials lobbying for China? Previously, during the first year of the Zhihe era, during the fifth lunar month, it had appeared at dawn, in the direction of the east, under the watch of Tiānguān (天關, Zeta Tauri). It had been seen in daylight, like Venus. 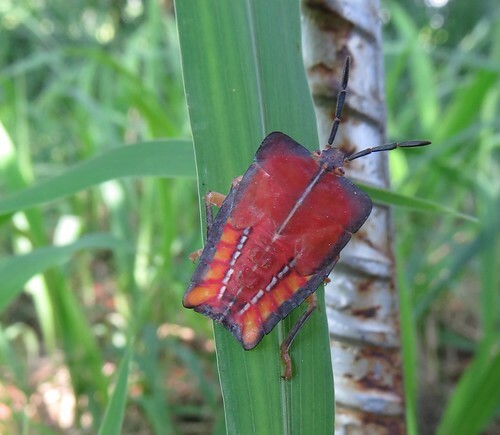 It had rays stemming in all directions, and its colour was reddish white. Altogether visible for 23 days. As she noted on Twitter, this is only a first pass. This problem is immense, and it has seldom been written on. Silverstein's old The Mandarins at Harpers was already noting the immense influence of China back in 2008, and it has only grown. The problem isn't just retired US officials acting as lobbyists. That is only one facet of this multi-faceted problem. A second issue is the numerous consulting and finance firms that are deeply involved in the China business who send and receive people from the government. The consulting firm Stonebridge supplied several people to the Obama Administration, as the Silverstein piece above notes, including Obama's first Asia chief, Jeff Bader. Evan Medeiros, who followed Bader, rotated out of government into the Eurasia Group, which does an extensive China business. Another facet is the individuals who frequently comment on US-China policy, such as Charles Freeman and Henry Kissinger, who have longstanding business and social ties to China. Indeed, officials-turned-businessmen are routinely permitted to speak in major publications with no identification that they have close links to the PRC, a problem I have commented on many times (one example). This group includes people I have dubbed the China Explainers who have developed an extensive apologetics for Chinese expansionism and authoritarianism. I have commented on them numerous times (like here). Yet another facet of this issue are the academics and commenters who have institutional or personal links to China and who now advocate for it. The Confucius Institutes are an obvious problem (they should be banned and closed), but many organizations have direct China links which they are loathe to lose. To gain an understanding of this problem, follow Michael D Swaine of the Carnegie Endowment for Peace on Twitter. The CEP has institutional links with China, and Swaine poo-poos the idea that there might be problems with China. Other names that rhyme with clown and blight will occur to longtime followers of China issues. This group constantly deploys weaponized narratives to silence its critics. Yet another facet of this issue is, as I have noted ceaselessly on this blog, the pro-China narratives and positions of the international media. "These hearings on the Mafia are in no way what-so-ever a slur upon the great Italian people. Because I can state from my own knowledge and experience - that Italian-Americans are among the most loyal - most law-abiding - patriotic, hard working American citizens in this land. And it would be a shame, Mr. Chairman, if we allowed a few rotten apples to bring a bad name to the whole barrel. Because from the time of the great Christopher Columbus up through the time of Enrico Fermi right up to the present day - Italian-Americans have been pioneers in building and defending our great nation. They are the salt of the earth and one of the backbones of this country." Just remember when you look at all these highly educated people and their wealth, status, and influence, that they have made common cause with the CCP and the Bamboo Union gang. The final facet of this problem is the most insidious: the self-censorship among academics (and journalists). Carsten Holz wrote about this ages ago in FEER, yet it is still relevant. Scholars struggle to find a position from which they can keep their access to China yet also stand against its authoritarianism and savagery. The revelation of a massive concentration camp system in Xinjiang has simply rendered this issue ever more urgent, and triggered much anxious discussion. This is one key way the academic community is different from these other communities: ethical concerns are honestly faced and openly discussed. So glad, thirty years ago, I came down on the right side of the China issue. Denny Roy and Lyle Goldstein both came out with pieces on the US and Taiwan's defense, the former solid, the latter a horror show understanding everything except the actual situation. The problem for China is that these methods still rely on the Taipei government choosing to surrender. Historically, governments and societies under attack become more defiant rather than submissive. Judging from the reaction of Taiwan’s people to Japanese colonisation beginning in 1895 and to the imposition of Kuomintang rule beginning in 1945, Taiwan would not be an exception. The remainder shows a deep awareness of the political situation in the US and in East Asia. Roy correctly notes that Japan is bound up in Taiwan's defense, and observes that taking Taiwan is only the first part of the problem: Taiwan must be occupied, and planning for that is as complicated as planning the invasion itself. Roy does not have the space to go into the myriad problems of taking Taiwan, so find a copy of Ian Easton's excellent The China Threat (my review). I have not been able to find the polls that Roy refers to when he says Americans don't support defending Taiwan. The most recent one I know of is an old UPI-Zogby poll that says Americans support defending Taiwan, but it is likely out of date. Denny...? A few years ago, one could surmise that the Taiwan issue was all but resolved as cross-Strait relations and indeed integration were intensifying in all domains. These developments followed along quite organically after the historic achievement of the long-awaited three links , including direct air, postal and shipping routes. That momentous breakthrough seems a bit like a distant reverie today, unfortunately. When then candidate Tsai Ing-wen was feted in Washington, DC during the summer of 2015, that was probably a portentous harbinger that the island’s fate was again about to be pulled back into the vortex of deepening superpower rivalry. Quick, see if you can remember that moment "a few years ago" when the Taiwan issue was all but resolved. You can't? I can't either. There was and has never been a moment when "the Taiwan issue" was all but resolved. Indeed, as all writing cognizant of the real world has noted, Taiwan has been moving farther from China since at least the Lee Administration (or since 1721, or 1895, or 1945, you can pick any date, really). The idea that Tsai Ing-wen's gala appearance in Washington DC was a harbinger of anything but DC's awareness that the DPP would win the election is absurd. Observe how the phrase "the Taiwan issue" functions as a euphemism to mask what is actually happening: China's drive to murder and maim Taiwanese, annex Taiwan, and blot out its democratic and independent government (the term "democracy" is not present in Goldstein's piece). Goldstein does not even bother to express pro-forma regret on behalf of the people of Taiwan. What's really important is "reality". Of course, there was the famous “ phone call ” of December 2016. I noted in this forum that, not long after the telephone conversation between Tsai and President Donald Trump, Beijing was taking the unusual step of brandishing its new DF-41 mobile, MIRVed ICBMs. The rift was seemingly healed , allowing the Mar-a-Lago summit a few months later, but since then a tense situation has become ever more precarious. There have been notions of a visit by a U.S. Navy warship to Taiwan. Most painful from Beijing’s perspective, Congress and the Trump administration seemed to have jettisoned all caution by passing the Taiwan Travel Law that encourages high-level engagement between Taiwan and U.S. officials. Indeed, a senior State Department official visited Taiwan in March. Moreover, the same day that President Trump met with Kim Jong-un in Singapore, a brand new and lavish facility (just $256 million) was opened for the American Institute in Taiwan (AIT), which China can only interpret as an “embassy” in all but name. As Beijing has rapidly sought to increase military pressure on Taiwan, deploying its navy and air force in ever more provocative demonstrations of force, China has also brought pressure to bear on U.S. companies to alter the way they referred to Beijing’s “wayward province”—a set of Chinese actions derisively criticized by the Trump administration as “Orwellian nonsense.” As duly noted by the Chinese press , two U.S. warships passed through the Taiwan Strait just a couple of weeks ago. At least Goldstein recognizes that China's military activities around Taiwan are provocative, but in most of the remainder of the paragraph, the aggrieved party is the familiar spectre of poor, put-upon China. It must be hell to have to put up with senior US officials visiting Taiwan, and to have the US open a building for its representatives in Taiwan. My god, they must be eating ulcer medications by the handful in Zhongnanhai, the poor things. The pro-Beijing slant of this piece is both ugly and obvious. "Rather,", Goldstein urks up, "it is because China is actually not seeking military conflict with its neighbors, nor even with Taiwan. In other words, Beijing’s intentions, even within the maritime sphere, are reasonably benign." Hahahaha. Beijing is going to benignly invade us, bombarding us with chocolates and Hello Kitty dolls, and after that, it will generously and diffidently attack Japan over the Senkakus and Okinawa. So sweet, the CCP. I bet the Occupation -- another phase of the Taiwan Scenario that Roy writes about but that does not exist for Goldstein -- will be one big party, too. Do you think the PLA will supply the DJs? If you read the rest of Goldstein's invective, several things stand out. Goldstein is minutely familiar with PRC military systems, but says almost nothing about how Taiwan might respond. 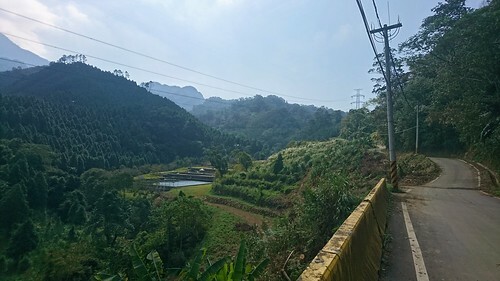 Taiwan is simply presented as a black box, and the many layers of its defenses, from its army to its awful geography and the crappy weather and waves in the Strait, are waved away. Goldstein also interacts largely with other writings on the Taiwan scenario, instead of with the situation on the ground. This POV is consistent with this he-man style of writing, so common among pro-China commentators, that claims the US needs to recognize "reality" but then studiously ignores the difficulties of taking Taiwan, and also ignores Japan (another word not present in this piece), which has an enormous stake in the defense of Taiwan and will almost certainly push the US to get involved. This bubbleverse in which the Taiwan Scenario is a US versus China game will be familiar to my readers in the writing of Hugh White, another exponent of the he-man view that China is just too powerful and the US really ought to defer to "reality". 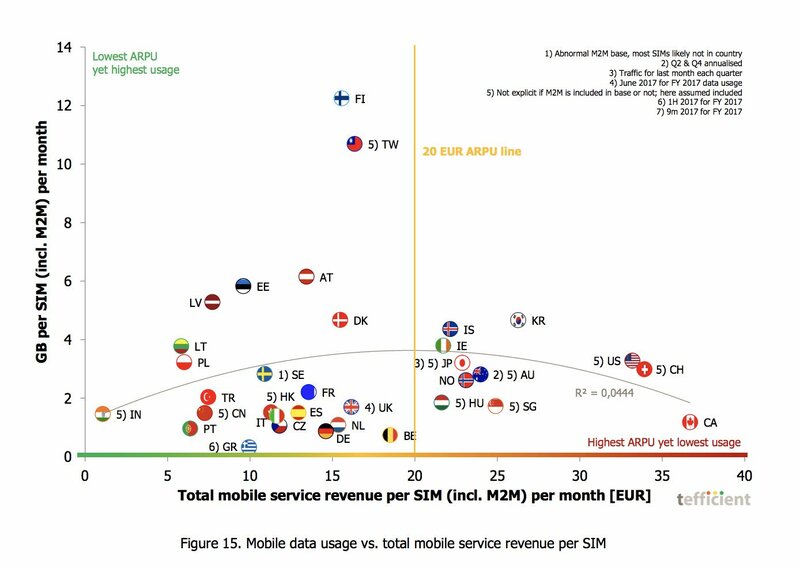 Mobile data services: usage vs revenues. 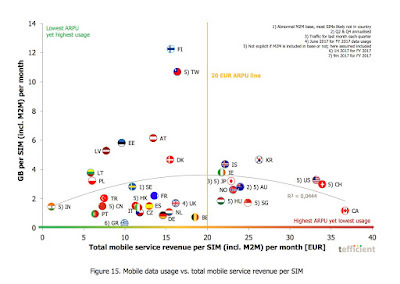 Note where Taiwan is. 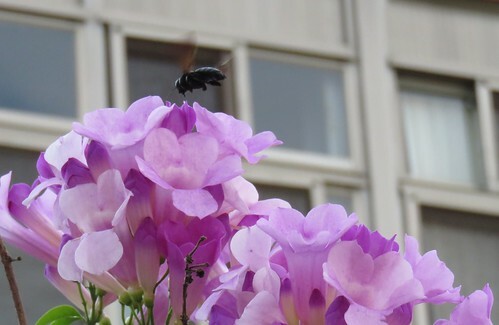 However, personally, I see the role of New Bloom as more necessary than ever in the present moment. A sign of how desperate Taiwan is for international acknowledgement is that, after the Trump-Tsai [phone call in 2016], there are those in Taiwan who have convinced themselves that the Trump administration genuinely has Taiwan’s best interests in minds, rather than hopes to use Taiwan as a potential card to play against China. There are also those [who believe], despite the obvious instability of the Trump administration, long-standing friends of Taiwan within the administration will keep destabilizing forces in check. This is a dangerous belief, one founded on conflating wishful thinking for what is geopolitical reality at present. As such, pushing for a left path to independence, one not solely reliant on the geopolitical might of America, seems paramount. There are also those [who believe], despite the obvious instability of the Trump administration, long-standing friends of Taiwan within the administration will keep destabilizing forces in check. This is a dangerous belief, one founded on conflating wishful thinking for what is geopolitical reality at present. As such, pushing for a left path to independence, one not solely reliant on the geopolitical might of America, seems paramount. Brian is quite young, and has never watched or participated in policymaking in DC, which some of us have been observing for decades now. The reason we keep telling him to wait and see what will happen is that foreign policy has tremendous inertia and powerful forces (not just "long-standing friends within the administration") contend to prevent it from veering from its current course. Brian does not tell us why this belief is dangerous, nor has he ever presented, concretely, the "left path" to independence without that American geopolitical might (which we do not rely "solely" on, another sad strawman). All of us see the same instability he does, but all of us also have a healthy respect for the inertia of foreign policymaking in the US. Like Brian, many of us lament the role of Taiwan as a geopolitical pawn and the vast harm/good the US has done to Taiwan over the years, but we are also realistic enough to realize that is the only role available to us at the moment. And that being a pawn has also been good for us: imagine where we'd be if we were irrelevant to the US. Meanwhile a US official called this week for the US to move closer to Taiwan in response to Chinese expansionism... as I always say, when the US drifts farther from China, it moves closer to Taiwan. Oh, and Brian, one other thing if you read this. The difference between us is not that you're the insightful and fearless Left and I'm a self-deluding, closeted rightist about the US role in the world. It's that I tweet and blog almost everything you write whether I agree with it or not, yet have never received the same courtesy from you -- not even a single tweet of the many articles I have written. To me your "left path to independence" looks a lot like a closed community of people who think just like Brian. ADDED: nice long comment from Anon below. Pangolins: these magical mammals are much sought-after by Chinese. WaPo laments their possible passing. Asia Sentinel on conservation of pangolins on Taiwan. Economy suffers first decline in export orders since Feb. USvChina trade war effects? But the trade war may actually force Taiwan businessmen in China out of China. The more-KMT-than-the-KMT New Party accuses KMT of selling Ma Ying-jeou down the river over the recent round of indictments in the asset funds embezzlement cases. Ma reports to the KMT on the case here. Taiwan needs to stop trolling Japan over the Senkakus, which the government again says belong to the ROC. That claim is completely false -- certainly there is no need to say it aloud. The Taipei Times also commented trenchantly on the stupidity of trolling allies. Project connects Maori with their Taiwan cousins. WARNING: RTI reports that "another New Taipei resident has been confirmed as the most recent case of indigenous dengue fever. The CDC reminds people to remove standing water from around their homes to reduce the number of mosquito breeding grounds. Those who fail to do so could be fined 3000 to 15,000 NT." 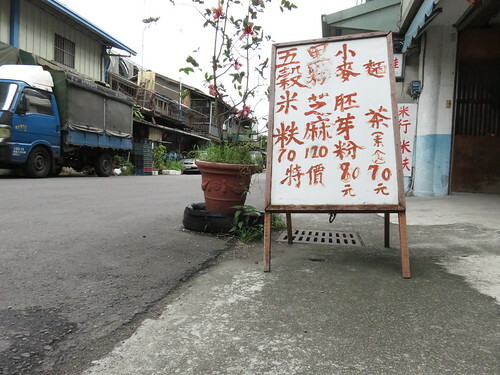 Taiwan: the land colonialisms made, special issue, now out. An ultralight aircraft floats above the rift valley. 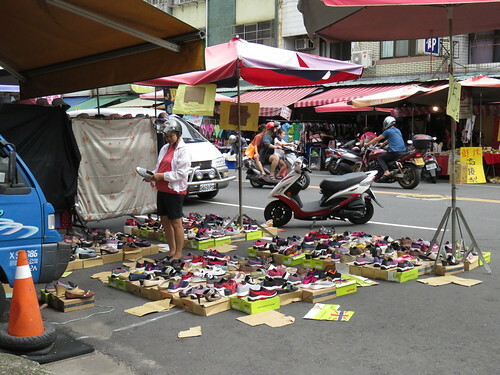 "Keelung Night Market" which does not exist. 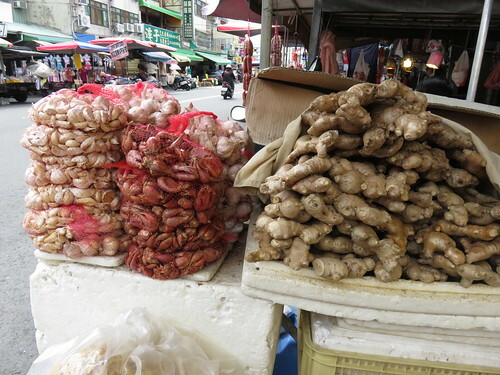 The market pictured is the famous Miaokou Night Market in Keelung. The blurb says that it requires a "significant metro ride" though the metro does not at present go to Keelung. Sun Moon Lake. 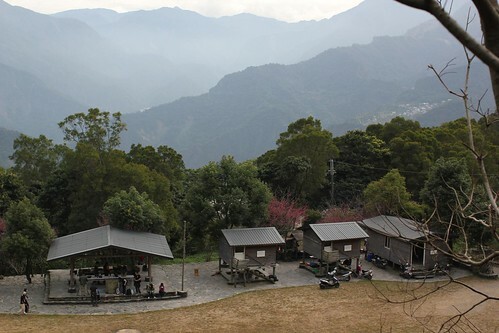 With its "highly regarded amusement park that portrays the life of aboriginal Taiwanese tribes". Pardon me while I throw up in my mouth a little. Green Island. 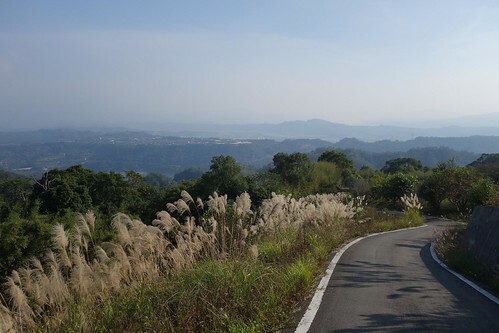 "One of the smaller islands that make up the Taiwan archipelago, Green Island usually receives significantly less tourist attention than its neighbor Orchid Island." Reality is just the opposite: Green Island is an overdeveloped and touristy, while Orchid is more remote and less visited. Nor is Taiwan an archipelago. 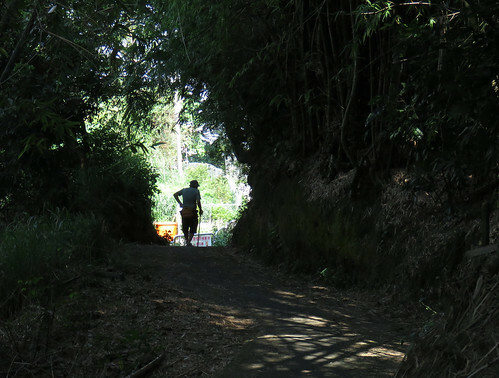 Of these, the only "off the beaten path" destination is the Rainbow Village. The others are all well established tourist sites. 1. 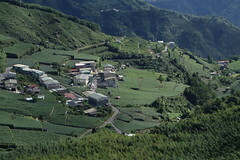 Delai in Pingtung. 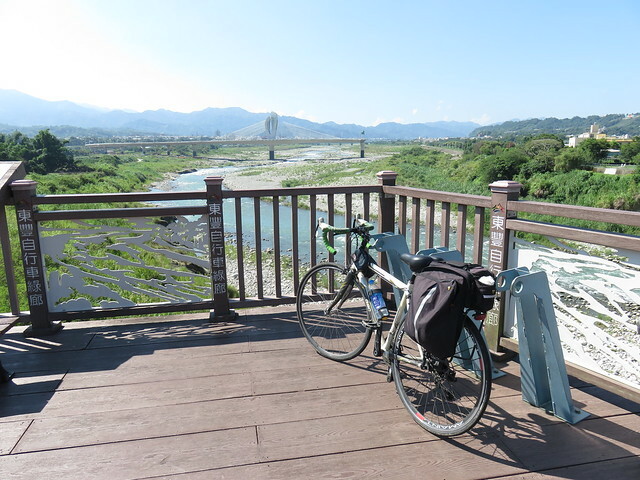 Take the 24 out of Sandimen and then the Pingtung 31 to Delai. The local aboriginal community has been putting in eco-tourism programs and facilities. There's a campground and a park, and hikes and other activities are available. The website for the community effort is Makudu Coffee (makudu.blogspot.tw) and they are on Facebook. They offer food and nature tourism, camping and a B and B. I have many pictures of it in this post here. 2. Namaxia District (google maps). I've taken a couple of trips to the area, filled with aboriginal communities. Here's one. It is absolutely gorgeous. Put it on your list. 3. 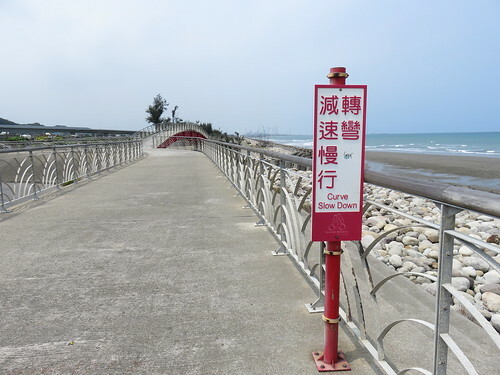 Beipu in Hsinchu (biked here). Beipu itself is an old community that has an Old Street and is quite pleasant, but the area around it is filled with small roads through lovely hills. 4. 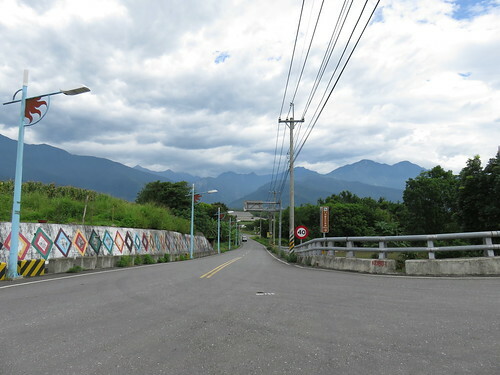 Chimei in Hualien (biked here). This little gem requires your own transportation, since there's no bus to the tiny hamlet. 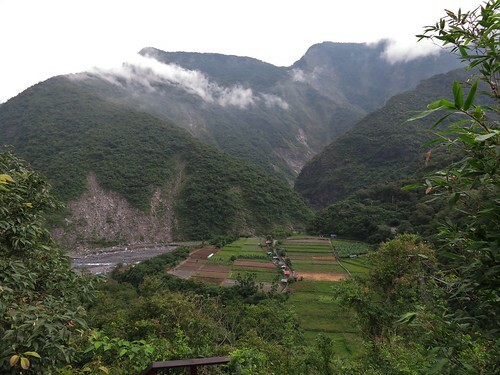 Chimei sits halfway through the stunning Hualien 64 between the Rift Valley and the Coast. 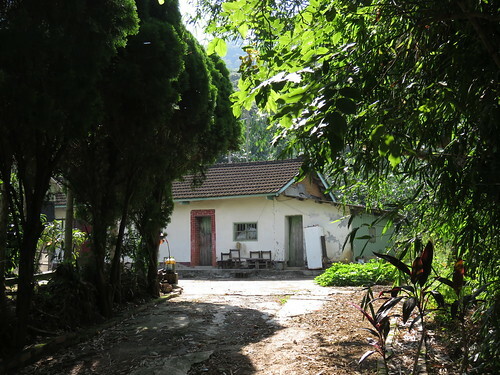 There's a couple of homestays in the community, and the area is lovely. 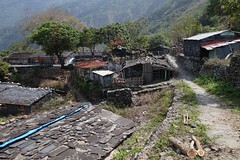 The homestays can organize hikes and other activities. 5. 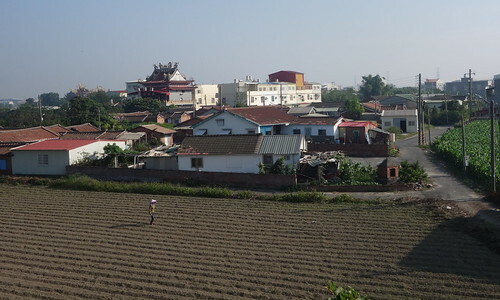 Yenshui and Budai districts in Tainan. 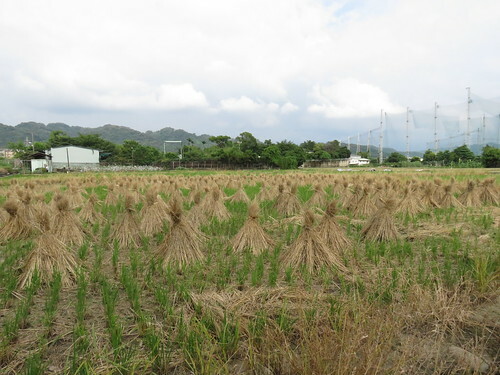 Actually the area north of Tainan city is carpeted with old farmhouses and is quite interesting historically. Yenshui, sadly only known for the flood of foreigners who do the fireworks every year, is also a town with a fine Old Street and many old buildings. 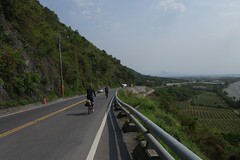 That side of it makes for a superb day trip from Tainan city. 6. Ruiho. I've never been there, but heard many good things about it, so that's why I am listing it. On my list of places I must go this year. Statements by Congressional Republicans on Wednesday suggest the US will deepen ties with the Republic of China, but experts say policymakers should focus on substance and not symbolism. 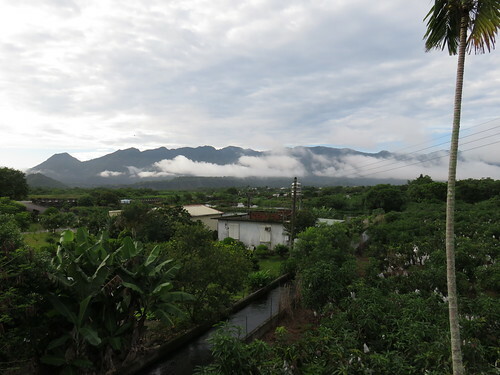 Speaking at two separate events, Representatives Michael McCaul and Ted Yoho suggested that the US should pursue deeper relations with the island of Taiwan. In a discussion on China at the American Enterprise Institute, Rep. McCaul said: "I think at some point we're going to have to recognize the independence of Taiwan." He mentioned that he recently had dinner with the Taiwanese "ambassador" to the US, and bemoaned the restrictions placed on travel by him and other officials from Taiwan. But Representative Yoho went further in his remarks over the future of US-Taiwan relations. He spoke at an event on cross-straits relations at the Heritage Foundation with the Taiwan Foundation for Democracy. 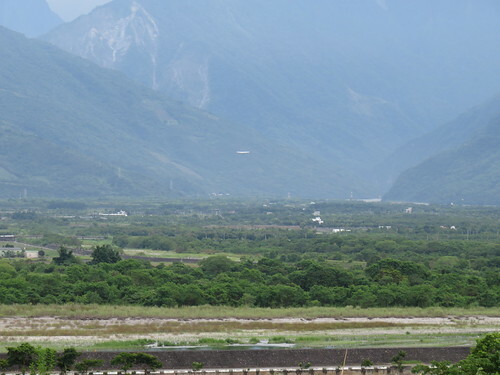 The chairman of the House Foreign Affairs Subcommittee on Asia and the Pacific acknowledged that Taiwan "exists in a gray area," but the US should expand that area. Rep. Yoho said that "Congress should also do all we can within the current framework of the relationships to recognize reality." He added: "The fact [is] that Taiwan exists as an independent political entity and a legitimate democratic government...with their own flag and their own military." But he declined to specifically call on the US government to recognize Taiwan. Rep. Yoho said simply that when an "entity" like Taiwan is a liberal democracy with the rule of law, among other characteristics, "You can call it whatever you want." Professor Robert Sutter from George Washington University noted that the Trump administration has included policymakers that led closer relations with Taiwan in the past. Also speaking at Heritage was Assistant Secretary of Defense for Asian and Pacific Security Affairs Randall Schriver, a noted supporter of Taiwan. However, he did not mention anything about the Trump administration possibly recognizing Taiwan as a state. Still, Professor Sutter noted his track record as being among the Bush administration officials who pushed for a stronger US-Taiwan relationship during that time. Professor Sutter said: "People that want to do things for Taiwan are there...They've been through this many times." But while American recognition of Taiwan as a state would be momentous, Director Abraham Denmark of the Asia Program at the Wilson Center said that practical concerns were more important. He said: "What we need to focus on...is substance. What can we do that actually helps Taiwan?" Director Denmark noted that after the US makes a big, showy gesture to Taiwan, "China doesn't punish us, it punishes Taiwan." He added that "I think we have enough symbolism in our relationship." Greetings! I would like to invite you to a free, on-the-record talk at AmCham Taipei. PLACE: AmCham Taipei’s Lincoln Room, Minsheng East Road, Sec. 3, No. 129, 6 FL, Taipei. SUMMARY: Even after the historic summit between Donald Trump and Kim Jong-un in Singapore, the world hasn't still resolved the conundrum of why Kim Jong-un came out from his cave to declare a willingness for denuclearization after menacingly developing and improving his country's nuclear capability for years after he took power in late 2011. Will the talks between Washington and Pyongyang bear fruit? Or, is North Korea really different this time? What are the regional implications in Asia? What do the new developments in North Korea mean for China and Taiwan? SPEAKER: Lee Seong-hyon, Ph.D., is the Director of the Department of Unification Strategy at Sejong Institute in Seoul. He is also the Director of the Center for Chinese Studies as well. His recent publications include "The U.S.-China conflict and leaderless international order" (Quarterly Diplomacy); “Why Did We Get China Wrong? Reconsidering the Popular Narrative: China will abandon North Korea,” International Journal of Korean Unification Studies; “Chinese Scholarly Perspectives on Contemporary Sino–South Korean Relations,“ Journal of Korean Studies; “Historical Perspective on China's 'Tipping Point' with North Korea,” Asian Perspective. In addition, he authored numerous policy briefings on national security and foreign policy of South Korea. He is a graduate from Grinnell College, Harvard University, and Tsinghua University (Ph.D. in political communication). He was the 2013-14 Pantech Fellow of Stanford University. Currently he is also Senior Research Fellow (nonresident) at the Center for Korean Peninsula Studies at Peking University. 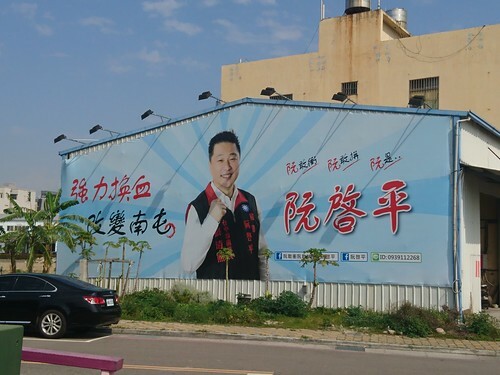 This KMT candidate promises to change the district of Nantun in southern Taichung city. Time for another pile of photos showing the finest marketing moves the two parties can offer. Go below the read more link to see more... if you want to see more of a photo, click on it to be taken to its page on Flickr. Can't wait to get my hands on this tome from two of the most incredibly knowledgeable people I know, Steven Crook and Katy Hui-wen Hung. Looks delish! The publisher's blurb is below. Order here. There is a compelling story behind Taiwan’s recent emergence as a food destination of international significance. 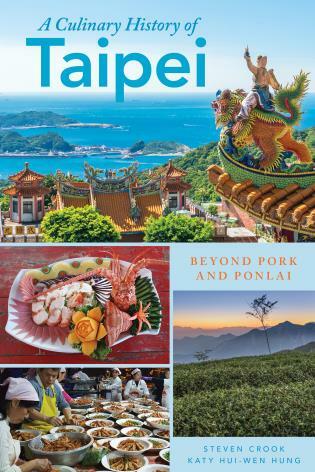 A Culinary History of Taipei is the first comprehensive English-language examination of what Taiwan’s people eat and why they eat those foods, as well as the role and perception of particular foods. Distinctive culinary traditions have not merely survived the travails of recent centuries, but grown more complex and enticing. Taipei is a city where people still buy fresh produce almost every morning of the year; where weddings are celebrated with streetside bando banquets; and where baristas craft cups of world-class coffee. Wherever there are chopsticks, there is curiosity and adventurousness regarding food. Like every great city, Taipei is the sum of its people: Hard-working and talented, for sure, but also eager to enjoy every bite they take. Drawing on in-depth interviews with the leading lights of Taiwan’s food scene, meticulously sifted English- and Chinese-language materials published in the 19th, 20th and 21st centuries, and rich personal experience, the authors have assembled a unique book about a place that has added all kinds of outside influences to its own robust, if little understood, foundations. 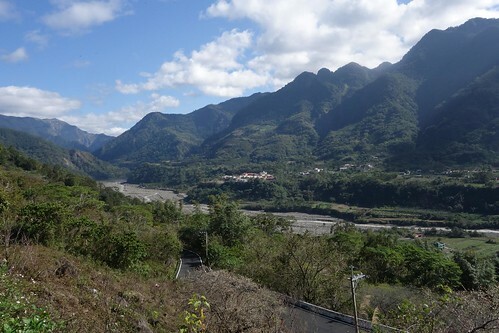 Steven Crook has freelanced for Taiwan’s English-language newspapers and inflight magazines in the region since 1996, writing about travel, culture, business and environmental issues as well as food. His articles have appeared in Christian Science Monitor, South China Morning Post, and CNN Traveler Asia-Pacific, as well as several other magazines and newspapers. 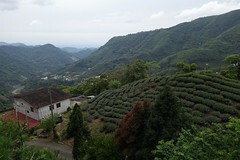 Recent assignments have included indigenous restaurants, an overview of Taiwan’s world-beating oolong teas, Taipei’s whiskey and cocktail bars, and the role of the papaya in local farming and cooking. He’s had four books about Taiwan published, including Taiwan: The Bradt Travel Guide. Katy Hui-wen Hung is an avid collector of recipes and culinary stories, as well as a passionate advocate of Taiwanese cuisine. She has assisted a number of well-known food writers on their Taipei food assignments, including Andrea Nguyen and Robyn Eckhardt. Order information below the read more line. Moreover, the “envoy documents” that Shaw refers to do not claim that the Ming and Qing owned the Senkakus. They merely show that the envoys passed by them on their way to Okinawa, and that the boatmen informed them, as they were passing them, that their ships were leaving the world known to the Chinese, not the world the Chinese “owned”. The real inconvenient truth is that as Ming officials declared, China stopped at the water’s edge, and the seas belonged to all. The idea that distant islands belonged to specific states is a modern idea. Taking a week or two off for vacations. Stuff I write for ACT will still be posted. UPDATE: Still blogging very light. Latest ACT piece is below. UPDATE: Wrote up my four day ride with my man Dom this weekend, just below. My latest for ACT over at Medium.com focuses on the obvious pro-China slant of NCCU's famous tracking poll of independence-unification. Imagine if you could make a majority political position disappear at the stroke of a pen. Imagine if you could make reality disappear, so that journalists and scholars not only failed to see it, but quoted your re-defining of it with approving nods. There’s no need to use your imagination: it’s happened right in front of our noses. Welcome to the widely cited independence and unification tracking poll from the Election Study Center at National Chengchi University (NCCU), a propaganda relic of a bygone age, now well into its third decade of making Taiwan independence sentiment disappear by cutting it into a welter of confusing, useless categories. This poll is widely used by pan-Blue writers, and its assertions sometimes find their way into the international media as well. Enjoy!